ASTANA – The Kostanai region’s economy continues to grow, reported Kostanai Region Akim (Governor) Arkhimed Mukhambetov during his Jan. 29 meeting with President Nursultan Nazarbayev at Akorda. The manufacturing industry increased 8.3 percent compared with 2017 and construction increased 22.3 percent. More than 300,000 square metres of housing were commissioned. “We are working with 11 projects at the industrial zone. The largest project is related to the creation of the agricultural hub that includes a workshop producing flour with a capacity of 600,000 tonnes, a workshop for animal feed with a capacity of one million tonnes per year and a workshop for gluten and the processing of oil crops,” he said. According to the regional press service, 245.3 billion tenge (US$644 million) was invested in the region in 2018, which is 43 billion tenge (US$112) more than in 2017. External investments in fixed assets were 31.6 billion tenge (US$82 million) with an increase of 38.6 percent. Seven investment projects worth 25.2 billion tenge (US$66 million) were launched and 700 workplaces were created in 2018. Also, the region launched projects related to agricultural machinery production, building material production and the meat-processing facility in Arkalyk and measures to support small and medium-sized enterprises. The average monthly nominal salary for the third quarter of last year increased 8.5 percent and 98.5 billion tenge (US$258 million) was allocated to the social sector. The gross regional product with a growth of 10.3 percent is 1.3 billion tenge (US$3.4 million). 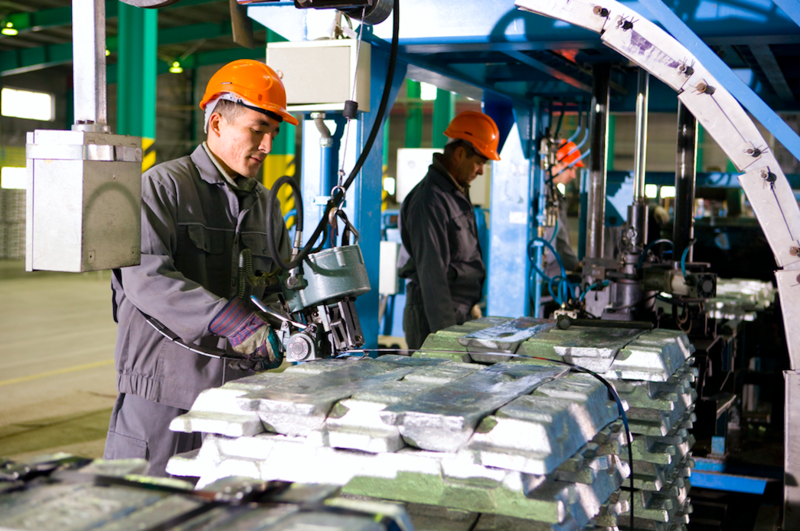 As one of the largest mining regions of Kazakhstan, the regional enterprises produce 100 percent of the iron ore pellets and more than 60 percent of iron ore.
More than 700 industrial enterprises with 43,000 employees operate in the region. The enterprises implemented six projects worth more than 800 million tenge (US$2 million) in 2017-2018. The expected production volume will be 165 million tenge (US$433,290) per year at the Kostanai Minerals company. Ten projects worth more than 100 billion tenge (US$262 million) are under consideration. The region leads in production of flour, vegetable oil, dairy products and confectionery. The machine construction totalled 113.4 billion tenge (US$297 million) and increased 13 percent. The AgromashHolding enterprise assembled more than 4,000 grain combines since 2005. Some 240 combines were produced last year. The local enterprises produced more than 12,000 cars. Forty-six cars were produced as part of the Made in Kazakhstan initiative. Export is one of the priority tasks of foreign economic and trade activities of the region. The region exports to 75 countries. The turnover of the region was more than $2,670.3 million with an increase of 45.5 percent in January – November. Exports totalled $1.5 billion and imports $1.15 billion. Iron ore products are exported to China and Russia. Cars are exported to Kyrgyzstan, Russia and Tajikistan. Confectionery products go to China, Germany, Mongolia and the Commonwealth of Independent States (CIS). Dairy products are exported to Russia, flour and pasta to Afghanistan, Iran and the CIS. Last year, the region started to export copper concentrate to China.